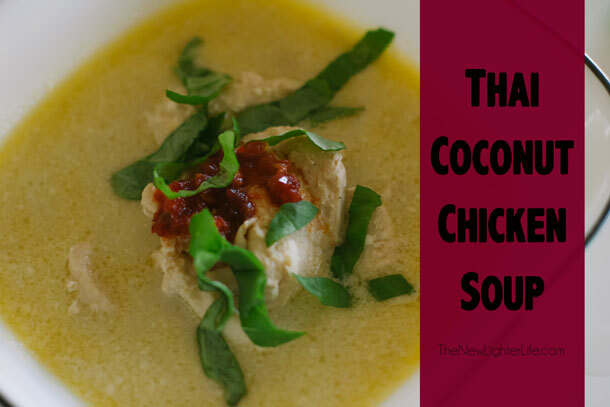 I realize we are getting out of soup-eating weather but I guarantee, you won’t regret making this Thai Coconut Chicken Soup Recipe! I originally made this soup almost 10 years ago when I first read Eat Fat Lose Fat. I’ve made just a few changes to the original recipe and it suits us just right now. One change I made is to not add the chili flakes to the soup pot since I have younger children eating it. 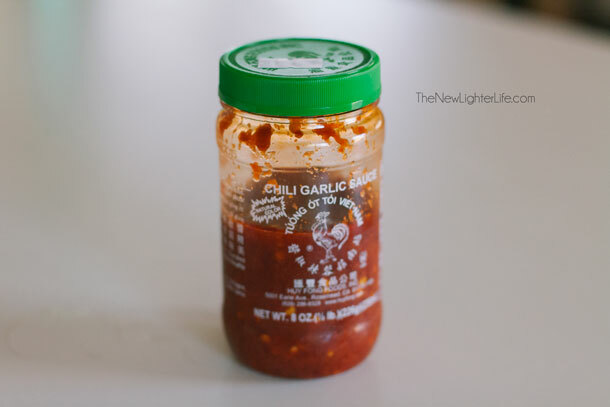 Plus instead of chili flakes, we use this…. 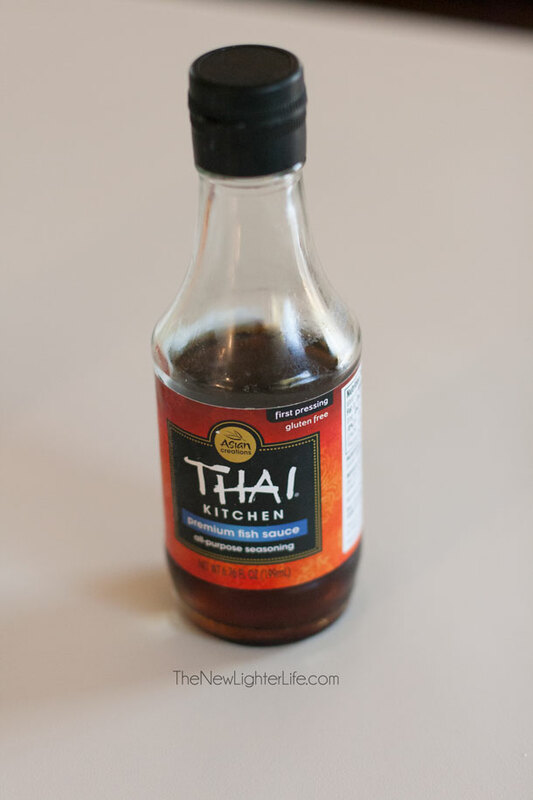 The fish sauce was in the original recipe but up until this past winter, I always used 1 tsp of salt instead. Oh this makes difference! Find fish sauce if you can! Lastly, we serve this soup with a bit of steamed rice to fill the bellies and I double this recipe for our family of 6. Add uncooked chicken, chicken stock, coconut milk, and all seasonings except garlic pepper sauce and basil. Simmer about 15 minutes, reduce heat if it starts to boil. Top each bowl of soup with basil and garlic pepper sauce. Ha!!! Yes they do Melissa!! Love this soup and have it at least every other week!